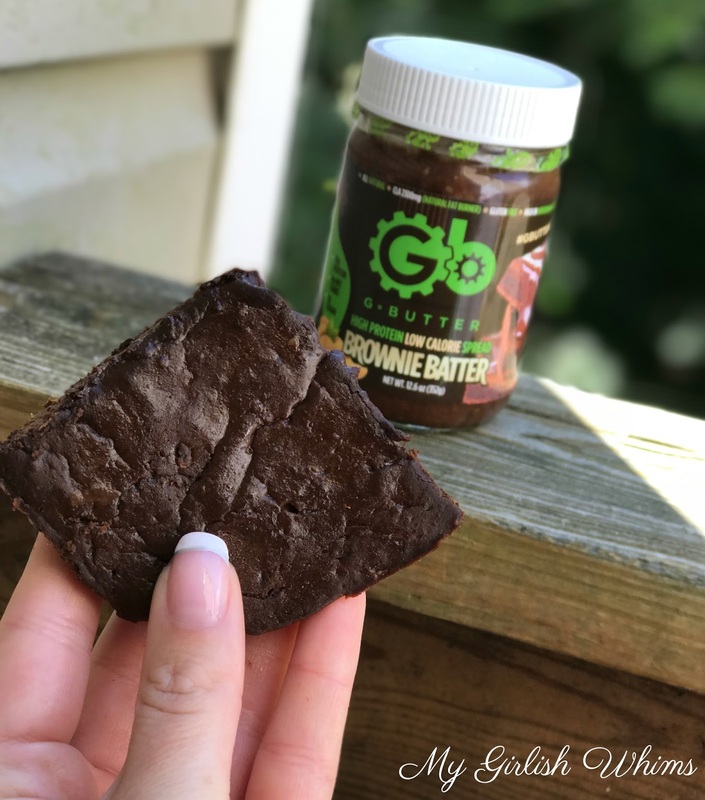 These seasonal brownies are super fudgey from using pumpkin in the batter and are made with healthy, high protein ingredients so each bar is less than 100 calories and includes 10 grams of protein! This weekend I visited a local farm to do some apple picking: my first official "fall activity" of the season. I had fun picking some apples with my boyfriend and then relaxing afterwards enjoying the views from the orchard with some locally made hard cider (this is my fourth or fifth time coming to this orchard for that very reason!) The weather in PA finally feels less like an Indian Summer and more like actual fall and now that we are officially in October I think I'm finally ready to embrace all things fall! All things fall includes all things apple and PUMPKIN - am I right?? 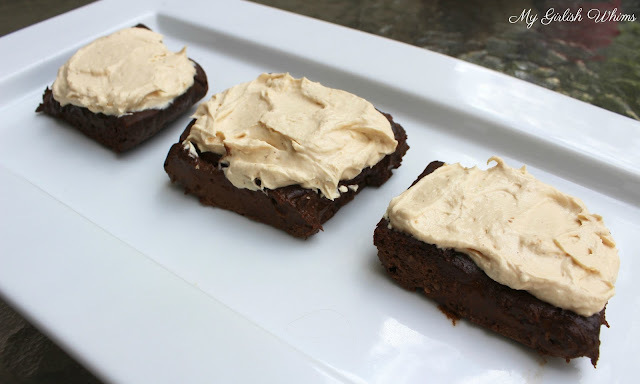 I loved the first time I made protein brownies based off the recipe from Chocolate Covered Katie and ever since fall has arrived I thought that a pumpkin version of these brownies would be even better for the season! Well, turns out Katie thought the same thing because she just recently posted a recipe for Pumpkin Chocolate Workout Brownies. I guess great minds think alike ;) I decided to go ahead and post my version of her recipe as well to show how I made it just a little more macro-friendly. My main secret ingredient: swapping out the nut butter she uses for gbutter! Swapping gbutter for traditional nut butter and using sugar free syrup as the sweetener makes these bars lower in fat and higher in protein than the original version which is perfect for the diet plan that I follow. 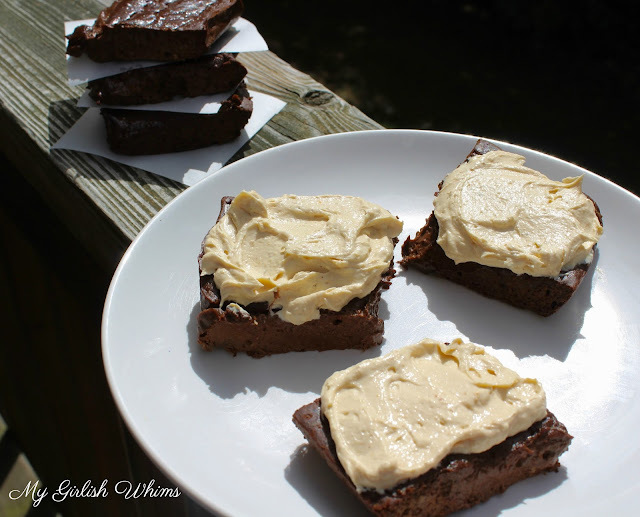 The brownies are great on their own but even better topped with some healthy pumpkin frosting! I'll be sharing the recipe for this soon as well: I've been using it as a topping for EVERYTHING lately and it's soooo good! I love being able to find macro-friendly versions of traditionally "bad foods" - it's hard to feel deprived while on a diet that lets you indulge in these kinds of delicious desserts! Next up...brainstorming how to make some healthier desserts with the 16 pounds of apples I brought home from this weekend! 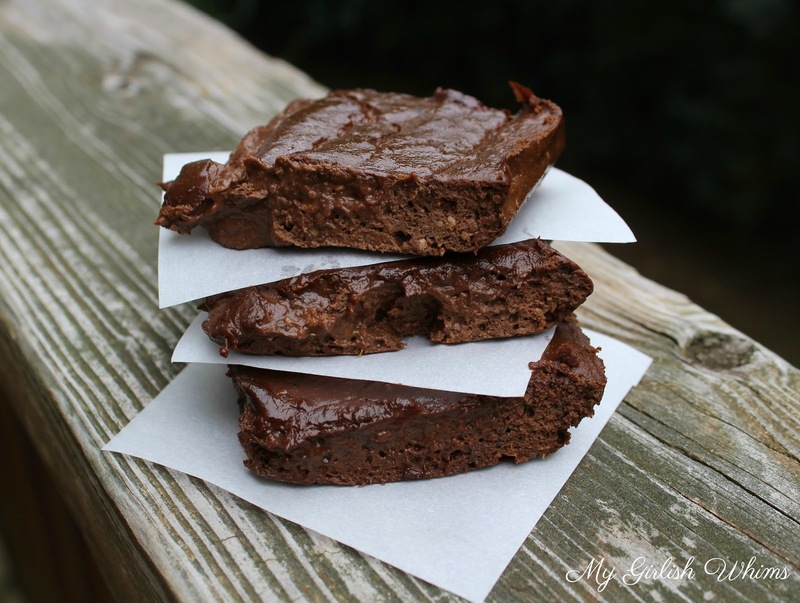 Each brownie comes to 93 calories with 8 grams of carbs, 4 grams of fat and 10 grams of protein. Preheat oven to 325 Degrees Line a 8x8 pan with parchment paper Combine all ingredients in a bowl and mix well Pour into pan and bake for 25-30 minutes Let cool, cut into 9 servings and eat alone or add toppings! Store extra brownies in the fridge or freeze. The chewier, the better! Mmmm. These look like heaven on earth. Where do you buy gbutter? I noticed its unavailable on Amazon.